We’ve considered all the questions we get asked as eye surgeons and filmed ourselves sharing our answers. 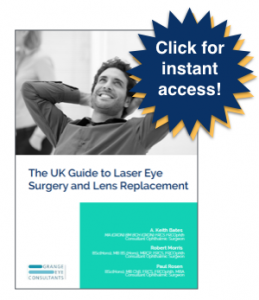 We hope they help you learn more about cataract surgery. By Grange Eye Consultants|2018-12-31T04:59:53+00:00January 16th, 2019|Categories: Cataract Surgery|Comments Off on Does cataract surgery hurt? By Grange Eye Consultants|2018-12-31T04:54:01+00:00January 9th, 2019|Categories: Cataract Surgery, Video FAQs|Comments Off on Do you ever operate on both eyes together for cataract surgery? By Grange Eye Consultants|2016-03-10T10:05:13+00:00October 6th, 2016|Categories: Cataract Surgery, Paul Rosen, Private Treatment, Video FAQs|Comments Off on Why should I consider private cataract surgery?